Open studio, multi-option art-play program designed for children under 5, however, the whole family is welcome. Not a drop-off program. Get ready to get messy! Art Club is our after school art program for children in K thru 5th grade from Hyattsville Elementary School. 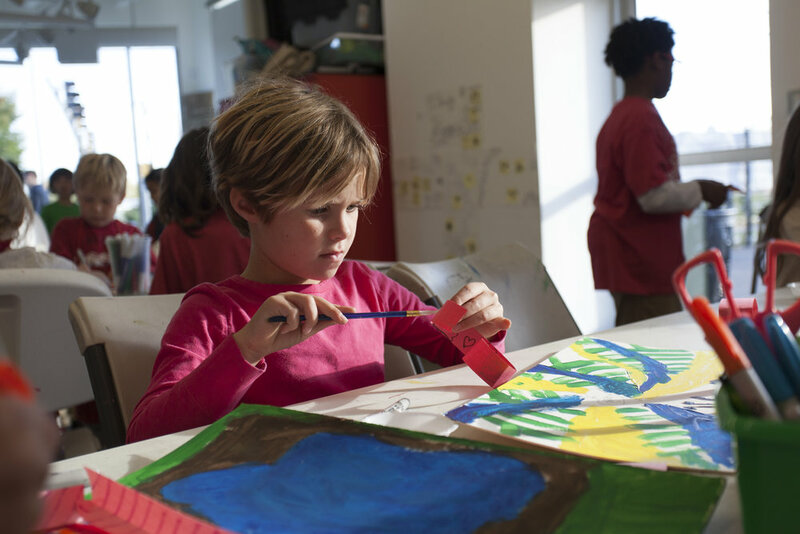 With a capacity of 24 children, this program offers one-on-one instruction and care from experienced teaching artists. Homework, parent-provided snack, outdoor play, and of course, art making all happen here! We provide transportation from Hyattsville Elementary. Social-based art making and creative play collide in this program for children 5 to 12 years of age. Art work is themed off a short, wordless art film each month. Pizza dinner is provided!